Home Insurance Do You Know What Your Auto Insurance Company Covers? Having automobile insurance isn’t an option. As a matter of fact, you must carry auto insurance on your vehicle in order to comply with laws in all 50 states. This ensures that when there is an accident that you have the financial means to cover the cost of repairs to your property as well as to the property of others that become damaged. Auto insurance is made up of many different lines of coverage, not all of which are mandatory by state law. Here is a look at each component of a typical auto insurance policy and how it affects your coverage. Liability insurance is designed to cover damage to someone else’s property in the event that you become involved in an at-fault accident. Liability insurance is the state minimum requirement for all 50 states. However, the limits of liability, meaning the maximum amount your insurance coverage will pay on your behalf, varies from state to state and policy to policy. There are two different types of liability insurance: bodily injury liability and property damage liability. Bodily liability injury provides coverage on your behalf in the event someone involved in an accident that you are found to be at-fault for becomes injured and required medical care. The coverage can also provide additional funds to the injured party to cover lost wages as well as pain and suffering up to the maximum limits of the policy. It does not, however, cover any injuries you may sustain in the accident. Property damage liability, on the other hand, provides monetary compensation to those who have experienced property damage in an accident where you are deemed to be at fault. This includes their vehicle, damaged fencing or other personal property. This coverage will also cover damages to government owned property such as light poles, traffic signs and fire hydrants. This coverage will not cover any damage to your vehicle or property that may become damaged in the accident. Collision insurance is not mandated by state law, however, is the policy that will provide you with compensation in order to repair or replace your vehicle in the event it becomes damaged in an accident. Collision insurance is a part of what most people refer to as “full coverage” insurance and will increase your monthly premium. If your vehicle is financed, you will most likely be required to carry collision insurance on your vehicle for the duration of the loan. Comprehensive insurance is the other component of insurance that makes up “full coverage” insurance and is also usually required if you have an active loan on your car. This coverage protects you against theft as well as damage that occurs through an act of vandalism or during a natural disaster. In summary, having auto insurance is not an option, however, what coverages you have will depend on your budget and your needs. Discussing your situation with a local insurance agent will go a long way to ensuring that you have the right coverage for your needs. 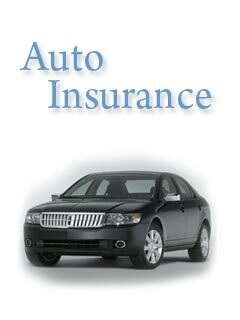 To get a free auto insurance quote Hagerstown MD, contact the best auto insurance Hagerstown MD. If you are looking to get an auto insurance quote Hagerstown MD, you need to contact the best auto insurance Hagerstown MD: Campbell Insurance Team. Call today.